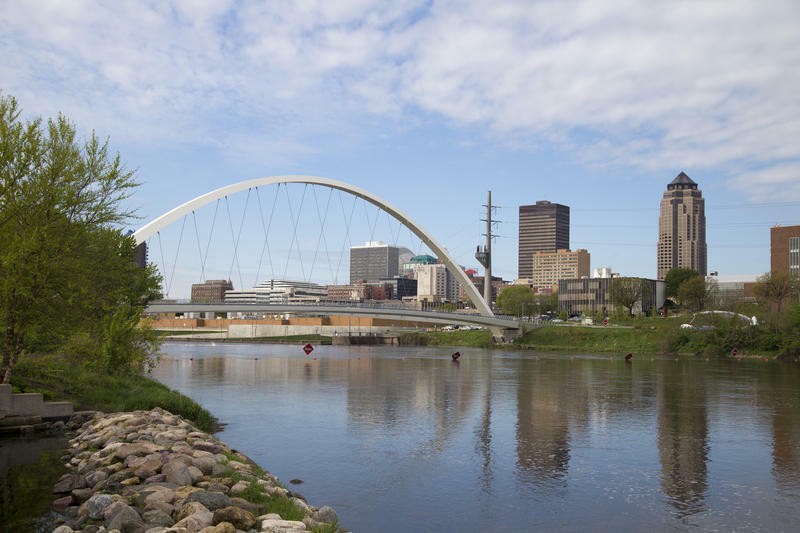 The Des Moines River is one of two sources for drinking water that Des Moines uses. Candidates in the race for Des Moines’s Ward 3 election say clean water shouldn’t be a political issue. “For us to live in the wealthiest nation in the history of the world the most technologically advanced society on planet earth that we have to fight for clean water, I think that’s a shame,” says Abshir Omar, a Somali refugee who also lived in a refugee camp in Kenya. An environmental lawyer, Josh Mandelbaum, is also running for the seat. 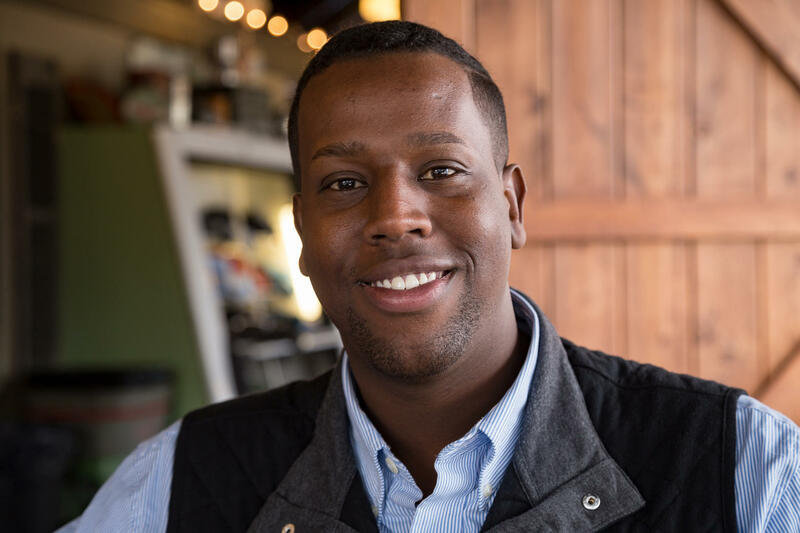 Abshir Omar is a Somali refugee who is running for a seat on Des Moines' city council. He's concerned that access to clean water is becoming politicized. But it’s mostly not up to cities, according to Mark Ryan, an attorney who spent two decades with the U.S. Environmental Protection Agency. “The cities are not in the driver’s seat here, they’re being driven,” he says. Des Moines’ water utility tried to strengthen the federal Clean Water Act by forcing more regulations on farmers, suing drainage districts in three upstream farm counties in a lawsuit that could have changed the face of farming in the upper Midwest. The plan didn’t work: A federal judge said any regulations on nitrates — which, when untreated, can be harmful to infants and pregnant woman — must come from the state legislature. And the state of Iowa and farm lobbyist groups don’t want to put more regulations on farmers. Ryan says because farm runoff is not regulated, cities have to spend a lot of money cleaning up water. There are examples from the Chesapeake Bay in the northeast to Boise, Idaho. For that to change, Ryan says, cities are going to have to get creative. One solution is having farmers change the way they manage their land and apply fertilizer. Right now, that’s just voluntary. Plus, there’s a lot of misinformation after the lawsuit, which angered a lot of farmers, says Tim Bardole, who farms about 2,000 acres in north-central Iowa’s Greene County and serves on the board of the Iowa Soybean Association. 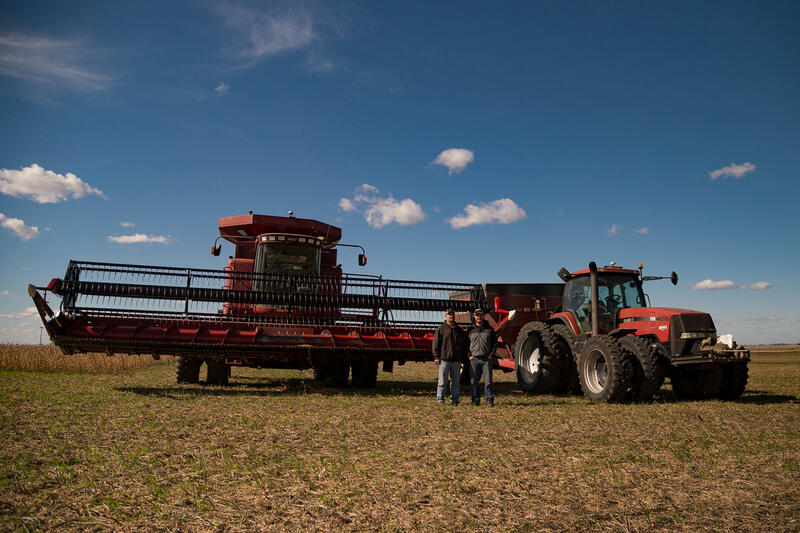 Tim and Schyler Bardole use cover crops on some of their acreage in Greene County, Iowa, to keep more nitrates in the soil and out of waterways. “It gets more anger and emotion into a problem which makes it very hard to or solve or improve on the problem,” he says. Bardole farms with his father, brother and son. And they’ve changed how they do things to help address various issues such as planting 1,500 acres of cover crops this year to keep more nitrates in the soil and out of waterways. Tim’s son, Schyler Bardole, says it’s not cheap, but there’s an upside. The voluntary measures aren’t good enough for the Des Moines Water Works, which General Manager Bill Stowe says won’t back down. 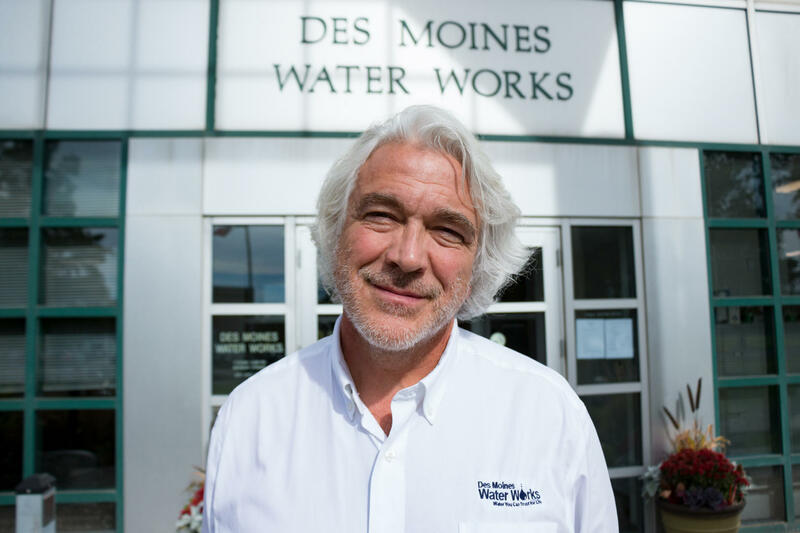 Bill Stowe is the general manager for Des Moines Water Works, which spent $2 million over two years trying to lower high levels of nitrates in the city's drinking water. U.S. Agriculture Secretary Sonny Perdue recently signaled the Trump administration wants to eliminate more regulations for farmers, but didn’t specify what those might be. And Environmental Protection Agency Administrator Scott Pruitt says his agency is “beginning the process” of redefining water regulations and believes in “traditional oversight” from states. “Iowa is home to a robust agriculture industry that EPA should not be on obstructing with unnecessary and costly regulations that do little to promote environmental stewardship,” he tells Harvest Public Media in an emailed statement.